This next stop on my blog tour took me to More Agreeably Engaged, where I talked a bit about Mr. Darcy’s dog Cabal, and a quick history of the use of therapy pets. It is a pleasure to have Riana Everly visiting this evening. Thank you for including More Agreeably Engaged in your blog tour for Through a Different Lens. I admire you for taking the chance of writing Darcy the way you chose to do for the novel. I’ve been reading your book and am finding the leap not so hard to imagine. You have done a good job incorporating your research into a believable and interesting story. 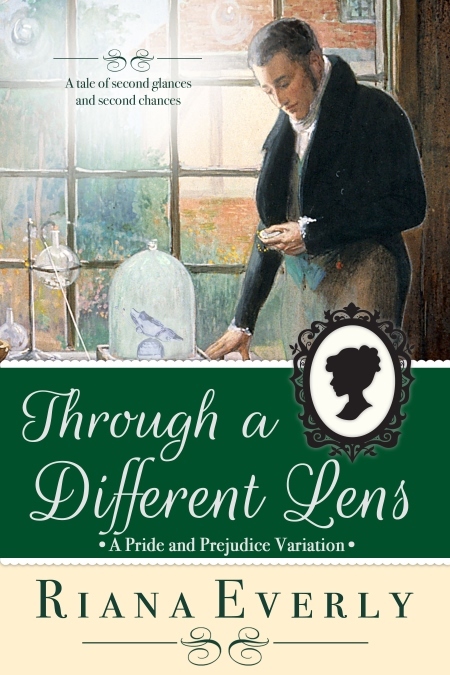 I’m thrilled to be here at More Agreeably Engaged today as part of my blog tour for Through a Different Lens. Thanks, Janet, for hosting me!As part of my reading and research for Through a Different Lens, I spoke to several people I know about their experience with autism and mental health issues, to expand upon what I knew from my own experience with family members and people I’ve known through the years. One topic that came up a bit, mostly in conversation, was the value of having a pet to help calm and comfort the person during times of stress. I had heard about this before, and I was intrigued. So I started reading up on therapy animals, and was astounded by what I found! My biggest surprise was how old the recorded use of pets in healthcare was. Call them therapy pets, emotional support pets, companion animals, or something else, the use of animals to help people goes back millennia.The first recognition of the emotional benefits of pets was in ancient Greece, where animals—specifically horses—were used to raise the spirits of very ill people. In the ninth century, pets and farm animals were used in Belgium to help disabled people in their treatment. There are records of physicians in the 1600s using horses to improve the physical and mental health of their patients, and by the late 1700s an asylum in England, the York Retreat, documented the use of animals with the mentally ill. At the York Retreat, the animals were used to encourage residents to work on the farm on the property as part of their treatment. 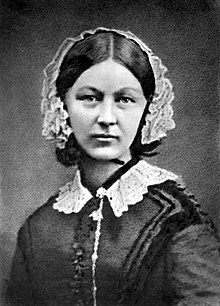 Nearly a century later, in 1859, Florence Nightingale recommended small animals as companions for her patients, writing that a small pet “is often an excellent companion for the sick….” (As an aside, Florence Nightingale had a pet owl named Athena, which she rescued from the Acropolis in Athens in 1850.) At about the same time, farm animals were being used in the treatment of epilepsy in Germany, and the use of pets in mental institutions in Britain was becoming common.What all these practitioners and physicians were seeing was the calming effect these animals had on patients who suffered stress and anxiety. Modern research from the University of Missouri suggests that the calm interaction of humans with cats or dogs or other pets—such as petting them or talking to them—prompts a release of “feel-good” hormones, including serotonin, prolactin and oxytocin. But one does not need to study the science and biochemistry of it to see the value these animals have.Of course, autism is not a mental illness, but rather a neurological difference. However the same benefits seen in treating conditions like depression or anxiety can help people with autism. The party now filed into a well-appointed and comfortable parlour where they would be served with a selection of sweetmeats and tea and where they might converse in comfort for a time before the meal was served. 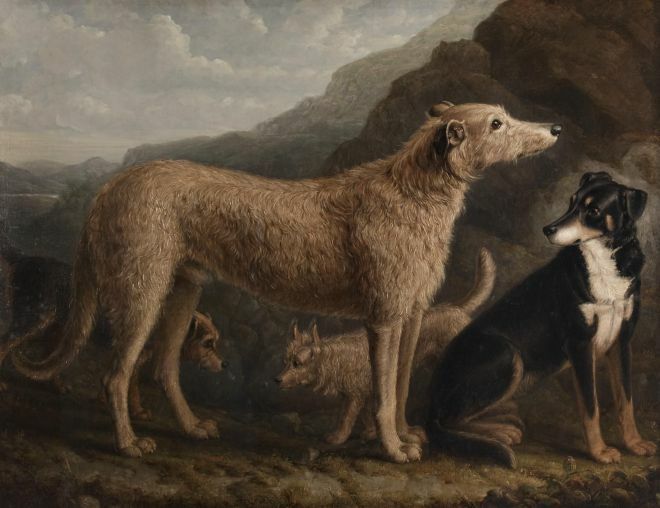 A large dog, similar to the one Colonel Fitzwilliam had brought along to Rosings, lounged at the foot of what must be his master’s chair. As the guests entered, the hound raised its sleek head and cast intelligent eyes on the newcomers, then shifted to its feet and trotted over to Mr. Darcy. The man absently reached down and scratched the large grey head, evoking a gentle whimper from the animal. “Cabal,” he intoned to the animal in a voice Elizabeth had never before heard, “Sit.” He pointed to the small rug by the fireplace near the chair, and the animal obediently returned to its former position, where it might protect its master from all harm. “My dog,” he needlessly informed his guests. “I ought not to make a habit of allowing him to remain when I have company, but most of my guests are known to him, and he to them, and they make little objection. Indeed, you are the first dinner guests outside of my immediate circle whom I have entertained here since my father passed on five years ago.” He patted his thigh and the dog was almost immediately by his side again. Darcy knelt and more deliberately scratched the furred head once more. Then he rose, saying, “I find myself somewhat uncomfortable being a host, and Cabal, as always, helps me find the calm I often so desperately need.” “Am I of so little importance, then Cousin,” Lady Philippa laughed, “that you value your hound above me?” “No indeed,” his response was serious, “but whilst I rely upon you in your role, I am nevertheless the master of this house and the host, which entails its own responsibilities, and Cabal’s presence settles my mind.” He gazed down at the placid hound, then returned his eyes to his company. “But you are here now,” his voice brightened somewhat, “and I am less anxious than I had expected. 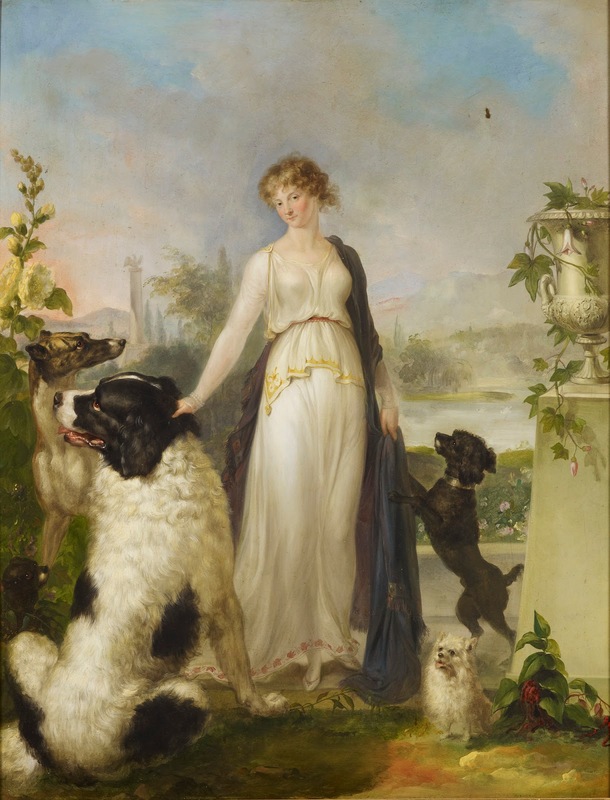 I can have Cabal returned to the upper floors if you prefer it.” Having grown up on a country estate, Elizabeth was comfortable with personal pets, and Mrs. Gardiner began to speak of her own dog growing up. “It is difficult in the city,” she explained, “for us to have a large hound, but I do miss the animals we had around the house. 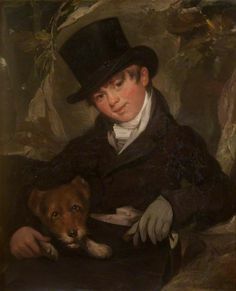 Miss Pierce has suggested a small lapdog for Samuel, saying that having such a companion can be an effective means of helping him concentrate on appropriate behaviour and of settling him when events become difficult for him to manage. We have been considering her suggestion…” She allowed her thought to fade.“Indeed, I find Cabal to be thus for me,” Mr. Darcy’s voice grew more animated. “He is comforting and ever-present, and I know he does not judge me poorly when I am troubled. When he is near, I have an easier time in company, although I know not why. I must admit I had him with me in my carriage on that first day I came to call on you, Mrs. Gardiner. Without his solid and reassuring p“Then, for certain, sir, let him stay!” cried Elizabeth. “May I meet him?” Samuel asked. “I should like to know him, if he won’t bite me.” Darcy led the lad to where Cabal had returned to his carpet by the hearth and showed him how to speak calmly to the beast and stroke its soft head. Before long, the lad was settled most happily at the animal’s side. Cabal withstood the boy’s tentative ministrations with the utmost of canine patience, and Samuel’s eyes grew bright and his smile open. When he raised his head to look at his mother, Elizabeth could see her aunt’s decision written upon her face to give much serious consideration to Miss Pierce’s suggestion.